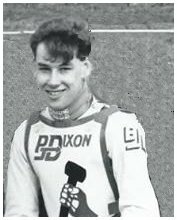 David started speedway at Cradley with the PJ Dixon junior Heathens and rode many matches with the Junior team. In 1990 he was drafted in to the British League team in April 1990 at Wolves but failed to score. On 14th April he replaced Mark Robinson in the reserve berth at Bradford where he scored 2 + 1 bonus in the Heathens Gold Cup Match. This turned out to be Davids best performance in the Cradley side. He rode in 11 matches altogether and surprisingly failed to score a point at Dudley Wood. He joined Coventry in 1991, but struggled again and after 7 matches he was dropped from the team. 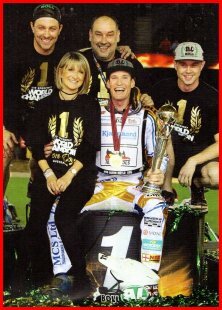 In recent years David became chief mechanic to World Champion Jason Doyle with his son Sam also in Jasons pit crew.